18.9" x 21.4" stitched on 14 count. 14.7" x 16.7" stitched on 18 count. Running with the Pack cross stitch pattern... 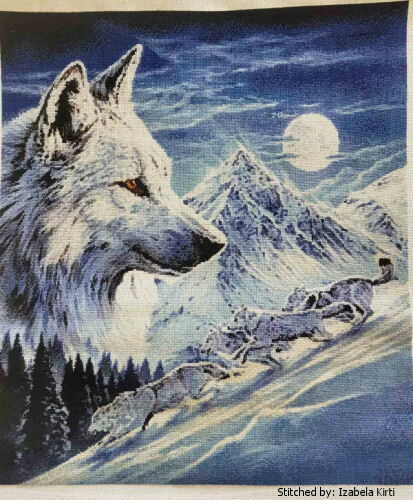 This counted cross stitch pattern of Wolves was designed from the beautiful artwork of Robin Koni. Original image copyright of Meiklejohn Graphics Licensing (MGL) www.mgl-uk.com Only full cross stitches are used.